Whether you're a professional Web designer, or just getting your business online, Snappy Design has a solution that's right for you. Currently in our sixth year of continuous operations, Snappy Design is the e-business solutions provider with long-term stability. We'll be here long after many other companies have gone out of business. We've been profitable since 2000, and we reinvest our profits into further growth of the business. Snappy Design was founded at a time when truly reliable Web hosting was hard to find. Since May 1999, Snappy Design has been providing World Class Web Hosting to customers from all around the world. You'll benefit from our years of experience and top notch technical expertise. We have the knowledge and experience to keep your Web sites online and running smoothly. We offer everything from Affordable Web Hosting and E-Commerce Solutions to complete web development services and Search Engine Marketing. Building long term relationships with our clients through quality work and excellant support is the main reason why we continue to prosper while other companies have come and gone. We use only top of the line, custom-built Intel and AMD servers running the ultra-stable and secure Linux operating system. 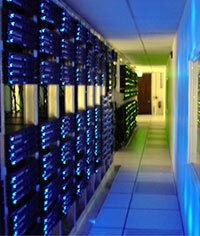 The security, stability, and reliability of our security-hardened servers is passed on to you as a direct benefit. Specializing in one platform ensures that we are able to provide you with the best possible service and support.